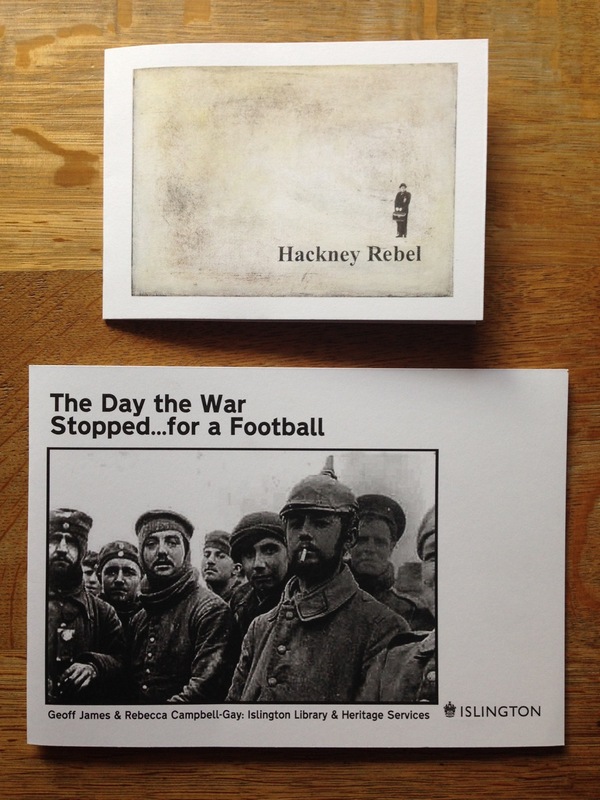 Hackney Rebel is a gorgeous book of prints created by Hackney artist Dawes Gray. The book was begun at one of the Librarypress Pop Up Publishing workshops held in May 2014 with no prior experience of making books. Dawes’ prints transpose Tony Hancock’s character from his film, The Rebel, from Paris to Hackney in 2012. The accompanying book is another LibraryPress book resulting from the Masterclass for library professionals held in September. It documents an engagement project with parents and children describing and commemorating the events of the Christmas Day 1914 truce. Like what you see here? Then treat yourself to something lovely – an enigmatic, eclectic package arriving through your letterbox each month. Or buy a gift subscription for someone special. Get inspired to create and share your own publications on bookleteer to take part too – each month I select something delightful and inspiring from the publications which are made and shared on bookleteer.